Choose one of the 2 escape rooms available in and around Amherst! Escape rooms are perfect for any occasion: a night out with friends, a date, a birthday celebration or a team-building activity. Search for clues, solve puzzles and work together to uncover the mystery – it’s time you escaped the room! Can you solve all of the puzzles to pass a test prepared by your art history professor? 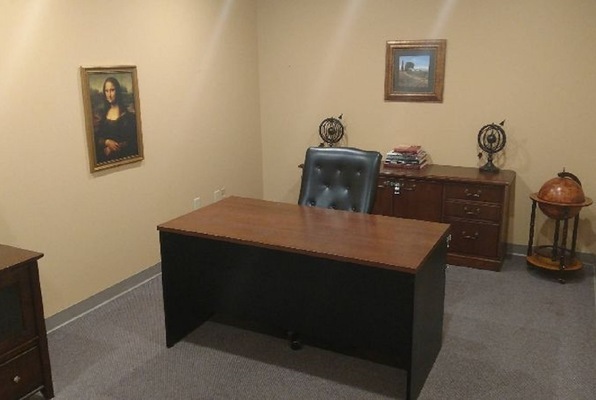 Solve the puzzles in Uncle Joe’s study within the hour to prove you are worthy to inherit his business and his bite coin investment. We had an awesome time in the da Vinci room. The puzzles were challenging and fun. Can't wait to go back and try more rooms. This was our first full-length escape room experience. Drew did a great job setting the backstory for us and explaining how things work. The Davinci Room was fairly challenging but not impossible. We enjoyed it very much and we cannot wait to come back! Tried the DaVinci room with my son on our mother/son date night. We had such a good time and really liked the variety of puzzles as well as their varying degree of difficulty. We escaped and look forward to coming back to try the other room! Solved the Da Vinci room yesterday. Lots of fun! Looking forward to going back and doing another room! Highly recommend! We did the Last Will and Testament room which, while difficult, was a lot of fun. We did this for my son's 12th birthday with four of his friends. This was the first time that we had done an escape room and really enjoyed it. The staff is great and helps you along the way if you get stuck. We will definitely do it again especially as they are planning to add additional rooms. If you are looking for something new and different to do close to home, check them out.